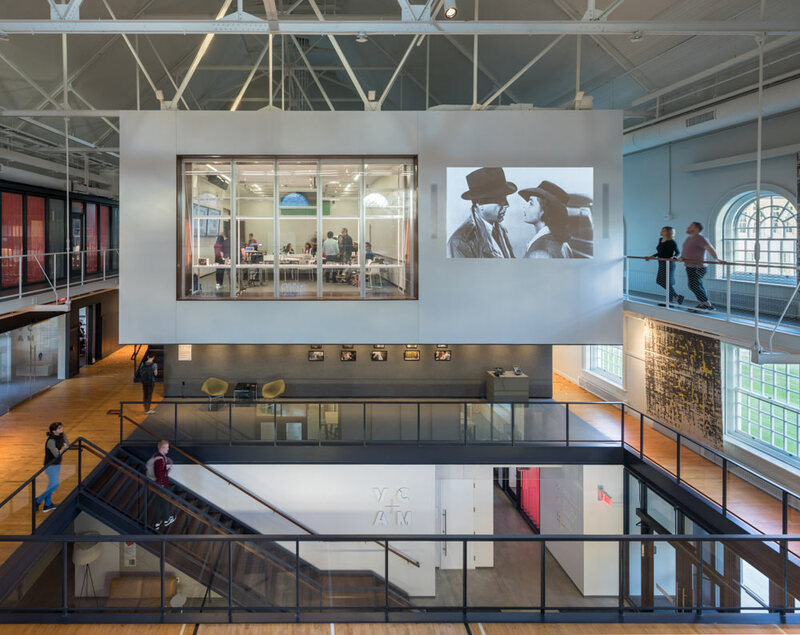 Haverford’s new Visual Culture, Arts, and Media (VCAM) facility is a 24/7 creative hub for students, faculty, staff, and the wider community. VCAM houses the College’s Interdisciplinary Minor in Visual Studies, the Haverford Innovations Program, and the John B. Hurford ’60 Center for the Arts and Humanities and its new Philadelphia Area Creative Collaboratives initiative. The facility features a host of flexible spaces for teaching and making, including a Film/Media Edit Studio, Maker Arts Space, two Create Spaces, Artist Residency Studio, Object Study/Media Production Classroom, and VCAM Seminar Room, all anchored by a central Presentation Lounge and Community Kitchen. VCAM builds on the creative and scholarly work of Haverford College, offering new possibilities for transdivisional collaborations and intersections.